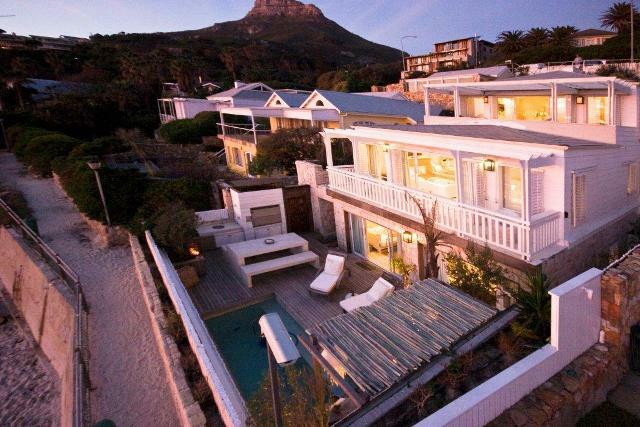 The self catering villas of Camps Bay are more than just party animal hotspots. Discover which of these apartments have a family-friendly focus, making parents and kids feel right at home. 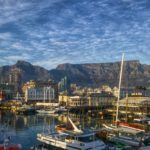 While Cape Town enjoys a reputation for its sizzling beach nightlife, it also offers a variety of attractions suited to families. 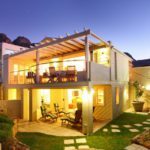 These fully equipped holiday homes will give you plenty of opportunities for fun on Camps Bay beach with your loved ones. The beaches of Camps Bay are great spots for body-boarding, and have tidal pools so tiny tots can enjoy safe paddling. Families staying in local self catering villas will also appreciate the clean facilities and umbrella rental services available. Across the road from the sand, take your pick of ice cream parlours and snack bars to satisfy rumbling tummies. Or pack a picnic before strolling down from your Camps Bay holiday rental to the beach you enjoy most. 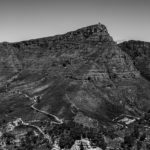 Kathryn Rossiter from the Becoming You blog, lists Camps Bay as one of her favourite family-friendly restaurant areas, and we agree! On her list of must-visit locations, there is The Roundhouse Restaurant – famous for its expansive lawn and outdoor dining experiences. When your Camps Bay beach holiday takes on too much sun and sand, retreat to this exquisite restaurant for great food, shade and enviable mountain and ocean views. This secure yet spacious holiday home will accommodate up to 10 people. 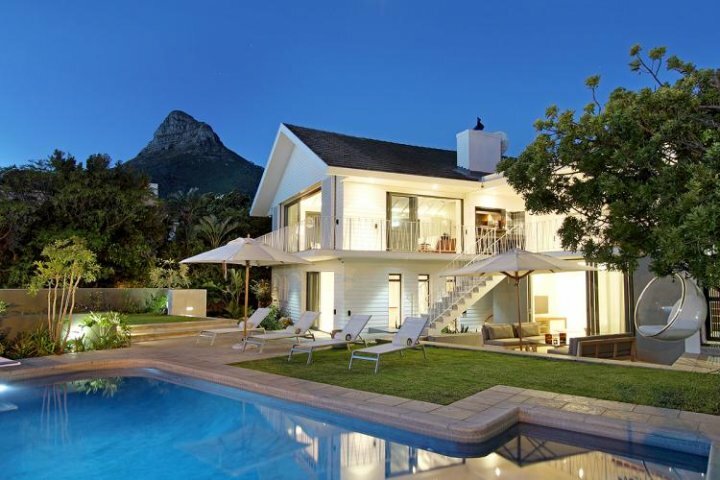 La Cubana is one of the most child-friendly self catering villas in Camps Bay, with extra safety features and great play areas. Grown-ups will enjoy La Cubana’s entertainment area, complete with pool table and bar. Kids will love the lush grassy lawn, and the playroom (which can double as a 5th bedroom). 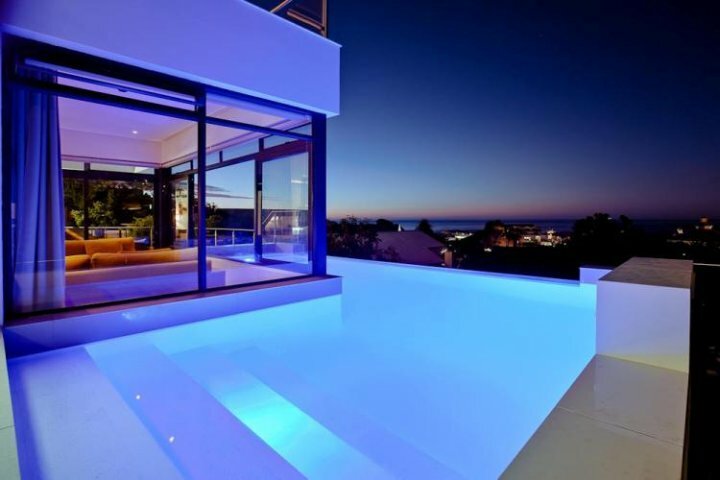 The property also has an inviting swimming pool, with a removable child-proof safety fence. La Cubana’s kitchen is fully equipped, and the villa has a live-in housekeeping service. This is a real bonus for moms and dads who have their hands full with busy little ones! Situated in a quiet cul-de-sac close to the beach, Breathe is an awesome location for a family reunion. This is a 6 bedroom villa that sleeps 10 and has dining space for 12. One of the suites at Breathe is a studio flatlet, which is ideal for guests who want a little privacy. 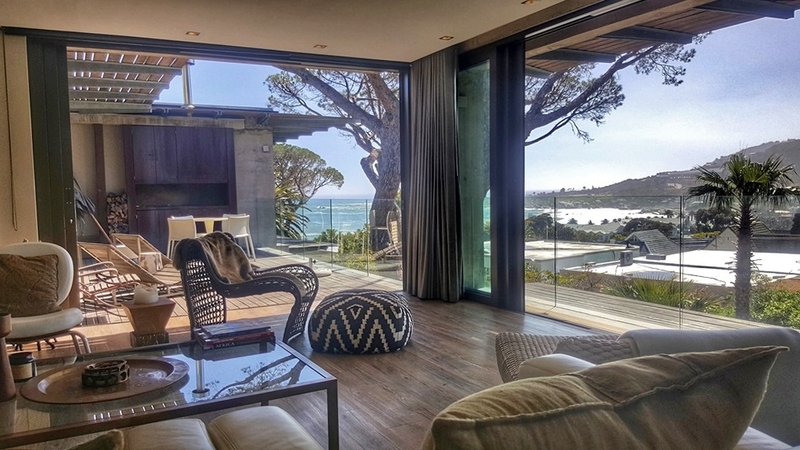 Your family and friends will love relaxing in the open-plan living room, with its fireplace and panoramic views of Camps Bay. Being one of our top self catering villas, Breathe was created for your comfort and convenience. The state-of-the-art kitchen has a dishwasher, Gaggenau fridge, and a Miele coffee machine. The spacious garage has room for 3 cars, and the premises boasts excellent security for your peace of mind and family safety. Breathe is also serviced by cleaning staff once a week, giving you a break from those holiday chores. Villa Central gives you the ultimate high-tech holiday experience. Few self catering villas are equipped with so many exciting cutting-edge features! A great choice for families with older children or teenagers. The first level features a push-button control centre for the sound system and technology throughout the home. A sleek glass lift will take you up to the 2nd and 3rd floors. You’ll feel like a dynamo in the Villa Central kitchen, with its dark wood finishes and sandstone work surfaces. The open-plan design makes it easy to socialise while you cook up a family feast. The kitchen has a stylish breakfast bar where you can enjoy quality time over a meal or snack. There’s even a wine fridge for the grown-ups to stash a bottle of that famous Cape vintage. Wander outside and you’ll find a wrap-around salt water infinity pool, sunbathing deck and al-fresco dining patio. It’s no wonder Villa Central is considered one of the area’s most prestigious self-catering villas – this is luxury at its most exclusive! This exquisite home sleeps 10 people and is ideal for families in search of a truly unique experience. The property also has staff accommodation for a domestic worker or nanny. 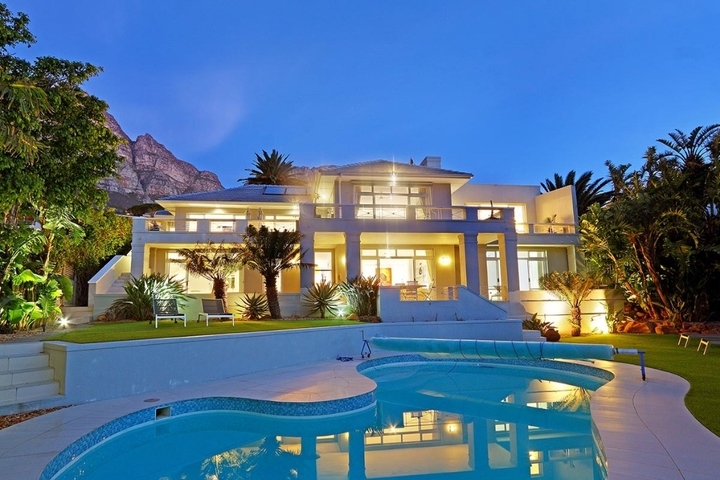 Your whole family will feel at ease in this 10 person Camps Bay home. The kitchen is fully kitted out, and the open-plan living area has stunning sea views found in only the most elite self catering villas of the area. With indoor dining space for 18 guests, and outdoor dining for 30, Sedgemore Paradise is great for family groups celebrating a reunion or a milestone birthday. This holiday home features a pool and manicured garden for your loved ones to enjoy during the summer months. On colder winter days, relax in front of the electric fireplace with a family movie. Villa Eyrie is an opulent holiday home, a few steps from the sands of Glen beach. Active kids (and grown-ups) will be keen to try their wave-riding skills at this surfing hotspot. This is one of the area’s finest 5 bedroom self catering villas, where 10 family members can relax away from the local crowds. The villa’s open-plan kitchen leads into the dining and living rooms, for effortless entertaining. The Moroccan-inspired garden is designed for al-fresco family dinners sheltered from the wind. To make life easier for parents, there is a self-contained living area on the ground floor that’s good for an au pair or nanny. 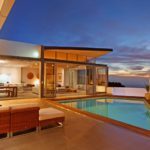 Villa Eyrie also offers optional luxury services, including a chef, a masseuse, and a babysitter. This vacation spot accommodates 8 family members and has 4 spacious en-suite bedrooms – all with air conditioning and under-floor heating. Bali Drive is one of the self catering villas that tends to your every desire, adults and kids alike. The modern self-catering kitchen has a high-end Miele stove and coffee machine, for easy family cooking. There’s also a housekeeping service, which means you get more time to relax. Children will love the villa’s plunge pool, while moms and dads will appreciate a soak in the Jacuzzi. With the Camps Bay promenade just 400 metres away, you’ll have easy access to the local shops and amenities. Treat your family to the ultimate in beach villa living! Poseidon is the perfect family party venue, with a huge entertainment deck, a Jacuzzi and a rim-flow swimming pool. Inside, the villa is spacious and modern, with 3 en-suite bedrooms with space for 6 people. Designed specifically to be self catering, villas like Poseidon are kitted out with everything you could need for a short stay. This means a fully equipped kitchen and a separate laundry/ utility room, as well as a braai area for your family’s meals. Poseidon villa is opposite Camps Bay beach, and gives your family a great vantage point for enjoying those memorable Cape Town sunset views. This double storey luxury villa will comfortably suit a family of 10. Msangasanga is a 5 bedroom holiday home that has a separate lounge and kitchen area on each level. There is also a live-in housekeeper, who services the property 5 days a week. 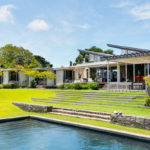 Msangasanga has a large private garden, braai area and swimming pool, so you can enjoy a family cookout while the sun sets over the Atlantic Ocean. You’ll find spacious terraces upstairs and downstairs, plus plenty of natural sunlight warming the whole house. Host your family reunion here to make memories that will last a lifetime! 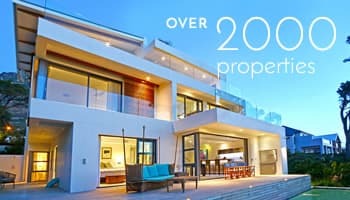 Picturesque Camps Bay beach is not the only location your kids will enjoy, the area is also jam-packed with activities like Action Paintball, an Aquarium, penguin viewing, bob-sledding and putt-putt near your rented villa. Whatever your needs, these villas are the best of them all. Choose wisely! Does your family have a favourite child-friendly spot in Camps Bay? Tell us about your last stay at our self catering villas, or browse more luxury holiday homes for families here.